A nice smelling bump oil & pampering goodies – Okay, the second part may not be an essential as such but definitely something nice to have! So many things I have read have informed me that stretch marks are more genetic than avoidable by slathering creams on your belly, but that said I do love rubbing lotions and potions into the bump and the rest of me, especially when they smell good! 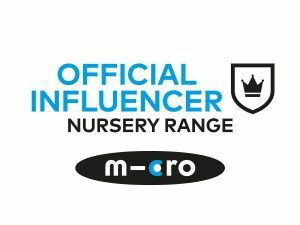 I love the Cowshed range and the Cussons Bump & Me bits too, Sam got me a few miniatures of them for Mothers day, including the sleep mist which smells amazing! A Massage. Annoyingly something I didn’t do this pregnancy at all, but I had two in my last couple of months during my first pregnancy and it made the world of difference. Make sure you find someone who is trained in pregnancy massage, but you will feel and sleep better afterwards too! A bump support pillow. 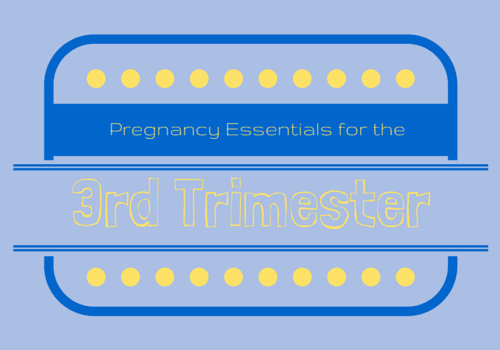 This featured in my first trimester essentials post, and would have in my 2nd had I done one! Almost from the moment I knew I was pregnant I found it harder to get comfortable over night, then when the bump appeared it was a godsend! I sleep curled round it with it tucked between my knees which really helps the hip and back pain for being too bad. Once baby has arrived a bump support pillow becomes a baby support pillow too, and I am giving away THREE sets at the end of this post! Comfy clothes & shoes. I live in PJ’s once I’ve got through the front door basically! I find getting dressed in anything tight like jeans a bit of a hassle these days too, so have been veering towards leggings and dresses lately. I’ve not had any leg or feet swelling yet so am still in my normal shoes thankfully but was definitely in slip on shoes and flip flops by this point last time round, but it was summer then! Concealer & Dry Shampoo, trust me not only will these be nice to have now, they will be vital once the baby arrives! My eye bags are getting darker because I just can’t seem to get enough sleep (see the next point!) so concealer helps me feel a bit more awake looking! Dry Shampoo is a must for the days when I should really have a shower in the morning but don’t have the energy, plus a bath is a lot more relaxing in the evenings! Sleep. If this is your first pregnancy then get as much as you possibly can. If it your second or more then good luck getting as much as you possibly can! I am thankful that Athena still has a day time nap (or two if I am really lucky) so I do sometimes get to nap but often end up doing boring things like washing and cleaning! Indigestion tablets/liquid – I would love to be one of the rare few pregnant ladies that doesn’t suffer from heartburn but sadly I do. I don’t have it horrifically compared to some, and find that a chew of a tablet does help (I like the fruit flavoured ones from Tescos) so I keep a pack next to my bed because that’s when I suffer the worst. You can get a prescription for free from your GP though as long as you have your maternity exemption card! And to celebrate me coming to the end of my third trimester, and therefore pregnancy very soon I am giving away one of THREE Pregnancy Support packs from Kit for Kids! The combination support pack provides comfort and support for your back, bump and knees. Perfect for sleeping, resting or nursing when the baby is born. Pack includes support pillow with an additional cover and support wedge, with machine washable covers. Cover washable at 60 degrees centigrade. All you need to do is enter below filling in as many parts as you fancy, the competition will end on 10/4/15 at midnight. 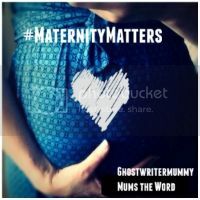 My Maternity leggings and jeans – they had elastic support bands at the top that reached right over my bumps so they were comfortable to wear and no one could tell they went that high! I loved my pillows! The wedge was amazing! My wife found biscuits and tea helped loads! Wahoo, you’re in the home straight! A pregnancy pillow is on my list of essentials too but I seem to have lost mine in our house move so am touching wood I might win one of these! At 20 weeks I am getting less and less comfortable at night and my hips are audibly moaning! I’d also put fresh pineapple on my list of pregnancy essentials, love the stuff! Lavender! I suffer really bad anxiety whilst pregnant, no idea why… I think it’s hormone related. I pretty much wore lavender as a perfume throughout them all. It really did work a lot! Last pregnancy, pillows were incredibly useful but this time I’d love to have a proper maternity pillow so would love to win this. Would like to win for friends. Wow……….this pillow is really awesome. I have used this pillow and it really works. Thanks a lot ofr sharing.